Cocoa May's most read post from 2014! So, it's finally New Years Eve and 2015 is a mere 24 hours away! To sum up the year, I thought I'd see my most read post of 2014. 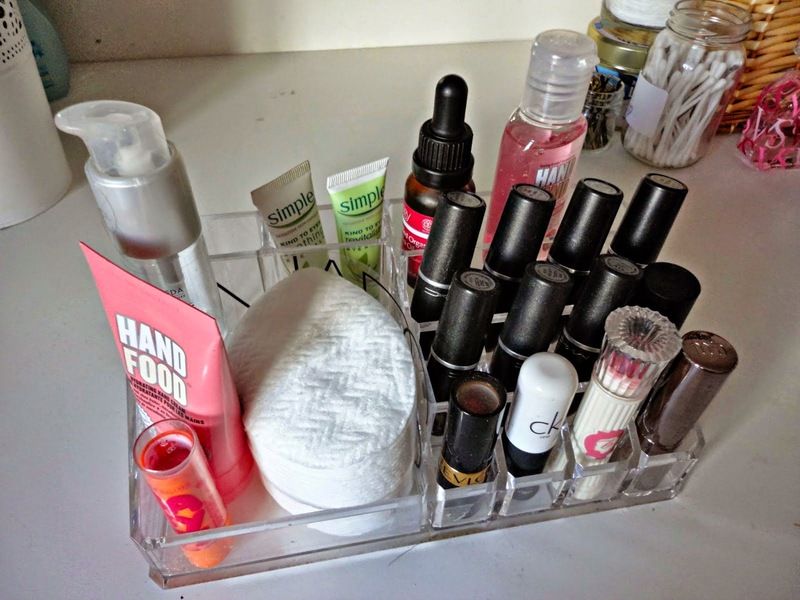 And, it is the Non-Muji Acrylic Storage post I posted back in March! It appears a lot of you are looking for alternatives to the Muji clear acrylic makeup storage which seems to have blown up in the beauty blogging world this year. This is still going strong on my dressing table, although the contents of it have switched around a bit. Anyway, I hope you all have a fantastic New Years and Happy New Year from me! Here's to another great year and Cocoa May growing even more!